Skin Peels are a form of chemical exfoliation in which dead skin cells are removed. The process has many benefits including the treatment of acne and it can reduce the signs of ageing, sun damage and other pigmentation problems. If you have been left scarred or disfigured following a skin peel, then speak to Mercury Legal’s expert clinical negligence solicitors about your right to compensation. Call 0800 122 3130 or request a free call back today. Provided they have been trained up properly, superficial skin peels can be carried out by beauticians. A deep phenol peel, however, can only be administered by an experienced dermatologist or plastic surgeon. Unlike a superficial skin peel which does not require any recovery time, you will need to take a few weeks off work to recover after a deep phenol peel as they have a significant impact on your skin. There is also a risk of scarring with deep phenol peels but, provided your practitioner provides you with the correct advice, this should heal. Skin Peels can cost up to £1,000 and most people will be eligible for superficial peels provided there isn’t a history of bad scarring or issues with pigmentation. If you have dark skin it is important to go to an experienced practitioner as the peels can cause skin bleaching. If you are opting for a deep phenol peel, you need to undergo a thorough assessment beforehand, including assessment of the heart, kidney and liver function. If you feel that you or your loved one has suffered as the result of a botched face peel, and you haven’t received a sufficient level of care, you might be entitled to make a claim for compensation. 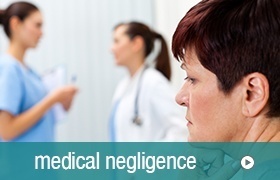 To discuss your individual case, please call 0800 122 3130 or request a free call back.